Trigger Warning: The title says it all. 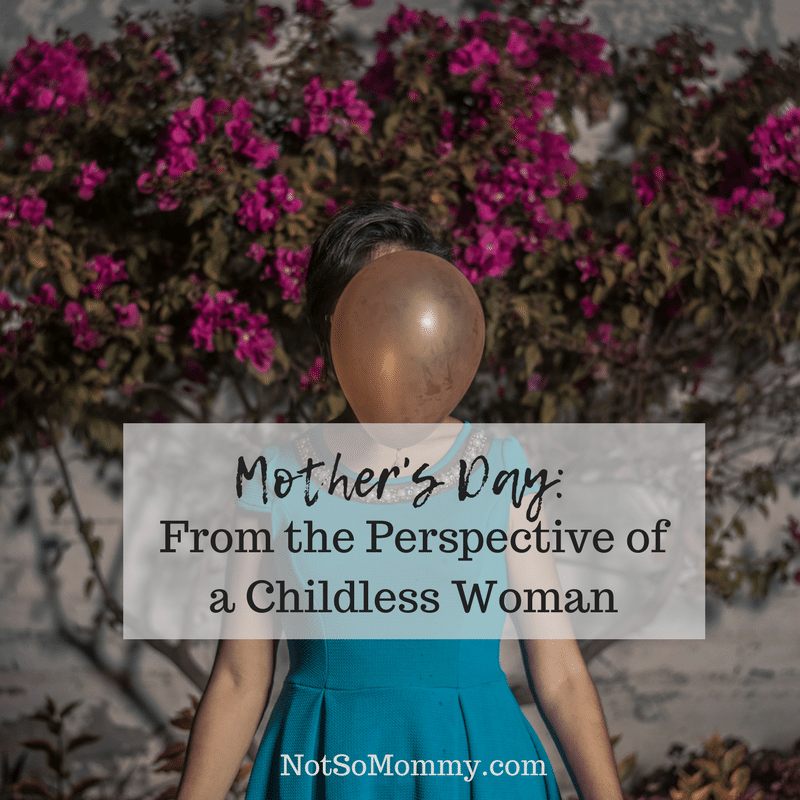 If you are up to it, let’s talk about Mother’s Day . . . 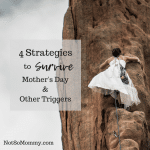 Even after embracing infertility, accepting a childless not by choice life, and focusing on the bright sides of Plan B, there are still two words that can cut… Mother’s Day. These two words can trigger deep emotion, pain, sadness, and grief for those of us who wanted to have littles but couldn’t. 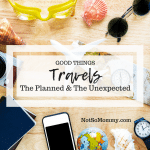 So, I thought about our childless tribe. And I realized this. We are not less. We are more. We survive and we love, despite the unfairness of childlessness. We love with a broken heart. We love despite having empty arms. Loving so unconditionally and purely and with your whole heart… That is THE utmost attribute of a mom. That is what makes a mom. And that is what we childless not by choice do. We Love BIG. But that isn’t the truth. The truth is that a mom is born from the love in her heart. And because of that, we are moms. 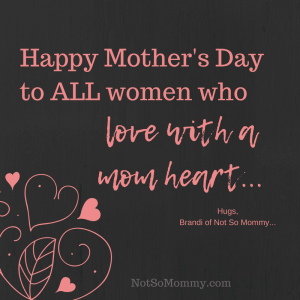 Because we love with a mom heart. Remember that this Mother’s Day and always, fabulous ones. Want to feel this way, but struggling with the unfairness of it all?